The Austrian internal energy supply is based on a balanced mix of energy sources. The following numbers represent the energy consumption of 2017, which are in total: approximately 35.7 per cent oil, 22.4 per cent gas, 29.4 per cent renewable energies, 8.6 per cent coal and 2.2 per cent combustible waste. The remaining 1.6 per cent comprise net import of energy from abroad. The production of nuclear energy has been banned since 1978 according to the Federal Law for a non-nuclear Austria. Oil is the number one energy source in Austria. There are two Austrian companies in charge of the exploration and production of oil that cover about 8 per cent of the annual consumption. For the rest, Austria relies on the import of raw oil, whereby Kazakhstan, Iraq and Azerbaijan are listed as the most important import countries. The import of raw oil has stagnated in recent years and the import of petroleum products has decreased. The highest percentage of final consumption of oil is related to the traffic sector at roughly 81 per cent. During the past few years, there has not only been a decrease in the export of petroleum products, but also an ongoing decrease in the internal consumption of oil. Among renewable energies, the internal consumption of hydropower is most prominent with about 33.1 per cent (among all energy sources about 9.6 per cent). Biomass is also traditionally exploited in high amounts - mostly for heating, but also increasingly for electricity production and combined heat and power plants. Owing to political efforts and the promotion of renewable energy, there are several other renewable energy sources that have gained importance over the past few years. In total, all renewable energies currently account for almost 80 per cent of total domestic primary energy production. Next to hydropower, there has been an ongoing increase in the consumption of wind energy, geothermal energy and solar energy. In addition to the oil and the renewable energy sectors, natural gas is another source that should be highlighted. Over 50 per cent of natural gas is imported from Russia, followed by Norway and Germany. Undertakings in the energy sector have largely been privatised, but the state still owns shares in some companies, such as 31.5 per cent of OMV, the largest producer and importer of oil and gas. In the electricity sector, Verbund AG, the leading electricity producer (mostly hydro energy) is still majority state-owned. Additionally, some nationwide and regional companies must be at least 50 or 51 per cent owned by Austria (federal state or provinces) under the Federal Constitutional Act on ownership structure of electricity companies. The federal government is in charge of supervising and enforcing those requirements. With respect to energy policies, Austria is subject to both the European energy policy-related objectives and its own energy strategy. The European Union initiated an energy policy in 2007, focusing on the promotion of energy efficiency; the security of supply; and the development of renewable energy and the reduction of carbon dioxide at the same time. All objectives are counted in percentages (eg, 34 per cent more renewable energy in Austria), so that a particular percentage must be reached by 2030. At irregular intervals, further thresholds are implemented. Furthermore, in June 2018, the first part of the Clean Energy Package of the European Commission came into force. The building stock currently accounts for around 36 per cent of all CO2 emissions in the Union. Member states should therefore ensure that the buildings sector is decarbonised and that final energy consumption is reduced. To achieve this objective, member states will need to define a long-term renovation strategy for the renovation of the national stock of public and private residential and non-residential buildings. The directive must be implemented by March 2020. On national level, Austria initiated an energy strategy in June 2009. It aims to secure supply, to reduce costs and promote efficiency, to be competitive as well as to be more compatible with the environment. The strategy’s progress is constantly evaluated, and adjustments are set accordingly. Several amendments to the Green Electricity Act were passed by parliament in 2017 to further optimise the development of the renewable energy sector. In addition to the expansion of green electricity, the possibility of financial support for private persons willing to instal photovoltaics can be listed as an attempt to promote renewable energy. Several steps are taken to boost the share of electricity consumption generated by renewables to 85 per cent by the year 2020. Moreover, Austrian experts are focusing on the implementation of smart grids (ie, intelligent network management based on modern information and communication technologies). It is aimed to equip 80 per cent of national households with intelligent meters, also known as smart meters, in the years ahead. In June 2018, the federal government issued a climate and energy strategy in order to assume responsibility for a purely consistent decarbonisation path by 2050. Its main target is to reduce greenhouse gas emissions by 36 per cent until 2030 compared to 2005 (Mission 2030). This is to be achieved by a coordinated climate and energy policy that guarantees the balance between ecological sustainability, competitiveness or performance and security of supply now and in the future. Most energy traders active in Austria are members of the European Federation of Energy Traders, which provides for standard forms for wholesale trading that reflect industry practice. Standard forms must, however, comply with strict legal requirements for standard terms and conditions. The energy sector provides for special ex ante control mechanism for standard terms and conditions performed by the Regulatory Authority (E-Control): electricity and gas suppliers are obliged to submit their standard terms and conditions for sales to private end consumers and small businesses to E-Control. E-Control examines ex ante whether these standard terms and conditions violate Austrian law and prohibits non-compliant standard terms and conditions from being applied to end consumers. Any change in standard terms and conditions must also be submitted to E-Control. The Austrian Civil Code (section 914,915) provides for basic interpretation guidelines for contacts, which also apply to the energy sector. Accordingly, the interpretation starts from the wording of the contract. In case of indistinct wording, the parties’ will is to be determined by the literal sense of the parties’ declaration. If no clear result is provided by such literal interpretation, in a second step, business custom and general practice are taken into consideration. As a rule, if no interpretation yields a clear result, the Austrian Civil Code states that indistinct statements are to be interpreted to the detriment of the party who declared them. In the absence of clauses covering specific circumstances arising from a contractual relationship, it is presumed that the parties have agreed on what is reasonable. Unless specifically provided otherwise in lex spezialia, liability is fault-based, meaning that (at least) negligent behaviour is required on the part of the defendant. Austrian law knows different forms of negligence corresponding to the degree of recklessness, namely slight and gross negligence. Slight negligence requires a party to exercise great care that an extraordinarily attentive person would have exercised, whereas gross negligence requires a party to exercise care only to the extent that a reasonably attentive person would have exercised. Subject to certain limitations, parties may agree on different liability standards in contracts or in standard terms and conditions. As a rule, liability for slight negligence can be excluded. Any other limitation of liability is prohibited in the B2C sector. In contracts between companies (B2B), liability for gross negligence can only be excluded to the extent of ‘simple gross’ negligence, according to recent case law. Likewise, liability cannot be excluded for cases of ‘blatant’ gross negligence. It is common practice for energy companies to exclude liability for slight negligence in the B2B sector. On the other hand, some laws provide for liability regardless of fault (strict liability). Such provisions can be found in product liability law, nuclear liability law or liability for owners of energy plants (according to the Imperial Act on Liability); see in more detail the answer to question 9. As a general rule, parties to a contract have the obligation to perform (pactum sunt servanda). In rare circumstances, however, Austrian law does recognise certain concepts that might excuse performance. First and foremost, if the parties’ agreement is in contradiction to applicable law or its fulfilment is deemed impossible from an ex ante perspective, the contract is void (section 878 Austrian Civil Code). The same applies if the fulfilment of a contractual obligation becomes subsequently impossible (section 1447 Austrian Civil Code, including the concept of force majeure). In such cases, no party must perform. Furthermore, Austrian scholars and jurisprudence have developed a concept that might excuse performance, if ‘the basis of a contract ceases to exist’. Accordingly, if a misconception about typical business circumstances has caused the fulfilment of the contract to become completely unreasonable, a party might be entitled to contest or amend the contract, however only as the last resort. Contractual and statutory provisions as well as the supplementary interpretation of the contract shall take precedence. In addition, the concept only applies if the fulfilment of the contract is still possible. If not, it is a case of subsequent impossibility according to Austrian legal understanding. In Austria, there is no uniform provision that solves this issue. The gap in the law must be closed with the help of a legal analogy to various individual provisions. There are at least four prerequisites to this concept: the misconception of the contractual partner must relate to typical business circumstances. Furthermore, the misconception must not originate from the sphere of the party wishing to invoke it. In addition, the change in the factual situation must not have been foreseeable at the time the contract was concluded and must have led to a material change in the equilibrium agreed in the contract. According to section 339 of the Austrian Civil Code, the owner is entitled to file a claim for injunction against any third party who interferes with its ownership. The claim seeks the restoration of the prior situation or omission of future interferences. Accordingly, operators may be subject to such claims. Parties may agree that simple negligence will not give an entitler compensation. On the other hand, liability for wilful conduct cannot be ex ante excluded or limited. It is possible to agree on a lump-sum contractual penalty owing to inadequate performance, non-performance or delay according to section 1336 of the Austrian Civil Code. It is due in any case when the agreed event or conduct of the party occurs. Unlike a default contractual liability, the compensation is not linked to the actual damage caused. In consumer contracts, lump-sum compensations must be negotiated on an individual basis and may not be included in standard contractual clauses. Nonetheless, in any case, damages beyond the contractual lump sum can still be claimed. Contractual penalties might be subject to judicial mitigation if they are considered to be excessively high. The court takes into consideration the degree of fault (including potential contributory negligence) and the actual amount of damage incurred. It is at the discretion of the judge to determine whether and by how much the penalty will be reduced. The right of mitigation by courts cannot be excluded. For damages resulting from activities in the energy sector, the following Acts stipulate strict liability: the Nuclear Liability Act, the Imperial Act on Liability and the Mineral Resources Act. The Nuclear Liability Act regulates liability for property damages and injuries on persons caused by nuclear material. Under this law, power plant operators, owners as well as transporters are liable for any damage while using, transporting or disposing of nuclear material. All of them must enter into liability insurance. The liability cannot be limited or excluded. However, the obligation to compensate does not exist if requisite diligence has been applied to prevent the damage and the damage was not caused by failure of material. Under the Imperial Act on Liability, owners of a power plant are liable for death, accident, injuries on persons as well as property damages caused by electricity or gas. Owners are not responsible if the energy device is defective or if damage is caused by force majeure. The Mineral Resources Act is only applicable for exploration of mineral resources such as oil or gas or during extraction, treatment and storage. For mining, the licensee is responsible for any mining damage such as personal injury, damage to health or property. Liability is excluded if damage is caused by an inevitable event. When faced with competing contract clauses, the court will examine whether the parties wanted to replace the initial agreement with a more recent clause by using the rules of contractual interpretation explained above. Regarding choice of forum, once an action has been brought to court, that court will assess whether it has territorial jurisdiction and substantive competence to rule the case. Agreements on international or territorial jurisdiction are generally permissible according to section 104 of the Law on Jurisdiction, whereas a court’s substantive competence is not subject to change by agreement. In an international context, courts apply Regulation (EU) 1215/2012 of 12 December 2012 on jurisdiction and the recognition and enforcement of judgments in civil and commercial matters in order to determine their jurisdiction. With regard to choice of law, Regulation (EC) 593/2008 of 17 June 2008 on the law applicable to contractual obligations (Rome I) applies. As a general rule, the choice of law is at the parties’ disposal. It can be changed at any point if all parties agree. Special rules apply to contracts of carriage, consumer contracts, some employment contracts and insurance contracts. Arbitration agreements are permissible in all cases where ordinary courts have competence and arbitration is not explicitly excluded by law. If the competence of an arbitral tribunal is disputed, the arbitral tribunal has the competence to decide on its competence (Competence-Competence, as stipulated in the Austrian Civil Procedure Code). Stepped dispute clauses are common. Parties are required to negotiate in advance of any mediation or dispute settlement procedure. On the contrary, split dispute clauses, where only one party can decide whether to go to arbitration or to litigation, are not commonly used. The enforceability of both dispute clauses depends on the specific wording used by the parties in the contract. In any event, dispute clauses must be clearly formulated. It must be clear when each step starts and ends. The party that chooses the jurisdiction in split dispute clauses must give notice to the other party. If the split dispute clause is part of the standard terms and conditions of one party, the other party should have the right to choose the jurisdiction. The dispute clause might not be enforceable otherwise. Experts are individuals who are appointed by the court for their specialist knowledge in a particular subject matter. Parties are entitled to request and propose an expert, but the court is not bound by that request or proposal. Experts usually provide their testimony in writing. To comply with the principle of immediacy, experts may also present their testimony in a hearing upon request. An expert testimony includes findings, a description of the facts, opinion, and the expert’s conclusion. The testimony must be substantiated on its grounds. Like judges, experts can be dismissed upon request, if one party considers the expert to be impartial or biased. Experts are obliged to submit an testimony unless the court dismisses the expert. Likewise, the court is free to appoint more than one expert for a particular subject matter. A second expert will usually be appointed if the previous expert or his or her opinion does not meet certain standards. The court considers whether the findings and opinion of the expert are conclusive. Parties also have the right to bring expert evidence. This evidence, however, is seen as part of the party’s argument, and not as an individual impartial expert testimony. Energy disputes are subject to general rules for interim and emergency relief are applied in Austria also with regard to energy disputes. In civil proceedings, interim relief like injunctions can be sought as optional content within a written submission of the applicant to the court or only the injunction itself can be sought according to section 585 of the Code of Civil Procedure. During a trial, an injunction can be sought at any time. The court will comply with a request for an injunction if the applicant’s right is in jeopardy of no longer being exercised, if the enforcement of the claim would be defeated or significantly hindered or if irretrievable damage would be caused. Alternatively, if damage can be measured in money, courts may also demand a security. Likewise, injunctions can be sought in an arbitral tribunal on request of a party according to section 593 of the Code of Civil Procedure. The district court of the applicant’s residence will enforce the injunction. The same is true for injunctions in administrative proceedings. The claim for granting an injunction is aimed at the suspension of enforcement. If the petitioner is in danger of being hurt by the enforcement of an act while the petitioner appeals, the administrative court may grant the injunction. On the other hand, if there is a risk that the obliged person resists the enforcement or hinders it, the administrative authority may also grant interim relief to ensure that the obliged person cannot do anything to render the enforcement unless the decision is rendered in the form of a resolution. There are no specific rules with regard to energy disputes in Austria. Within the European Union, Regulation (EU) 1215/2012 of 12 December 2012 on jurisdiction and the recognition and enforcement of judgments in civil and commercial matters is applied. Foreign judgments given in a member state are fully recognised and enforceable in Austria, assuming that no reason to refuse a recognition is met. These rules also apply to judgments from Switzerland and within the EEA. With regard to non-EU countries, according to section 406 of the Execution Code, foreign judgments are only enforceable if that judgment is enforceable in the country where it was rendered and the reciprocity between Austria and that foreign country is granted by treaties or regulations. Furthermore, the judgment must comply with the Austrian public order. If these preconditions are met, the foreign judgment is to be declared enforceable. Recognition and enforcement of foreign arbitral awards are determined by the New York Convention of 10 June 1958 on the Recognition and Enforcement of Foreign Arbitral Awards. More than 150 countries have now adopted this convention, under which every foreign arbitral award is enforceable unless reasons for its refusal are given. The reasons are exhaustively listed in article V of the Convention. No, there are no specific arbitration institutions for energy disputes. The Vienna International Arbitral Centre also administers energy disputes. Disputes between energy companies tend to be referred to arbitration. Disputes between energy companies and end consumers are mostly referred to state litigation. The concept of ‘discovery of documents’ is not part of Austrian law. Hence, settlement discussions are usually not discoverable. However, in some rare cases the opposing party is under an obligation to submit evidence under section 303 of the Code of Civil Procedure. The requesting party must specify and describe in detail the evidence to be revealed by the opponent party. The opponent party must submit its evidence when that evidence is common to both parties (section 304 of the Code of Civil Procedure). Written statements in contractual negotiations are also deemed to be common to the parties involved. The court instructs the opponent party to submit evidence with a decision that is not enforceable. Hence, not complying with the decision only has an influence on the free appraisal of evidence. Exceptions to the stated provisions include section 37k of the Cartel Act. Accordingly, in the context of cartel damage claims, settlement decisions, fully or partially, are by no means discoverable. This provision has been introduced rather recently and implements articles 6 and 7 of Directive 2014/104/EU on certain rules governing actions for damages under national law for infringements of the competition law provisions of the member states and of the European Union. Under Annex 2 of the Convention on Access to Information, Public Participation in Decision Making and Access to Justice in Environmental Matters or under Annex 4 of the Protocol on Pollutant Release and Transfer Registers, documents and facts arising in the connection with arbitration are usually treated confidentially by the parties and arbitrators. However, it is in any case possible to file a motion to declare documents confidential before an arbitration under the Vienna Rules for Arbitration. There are no specific rules with regard to e-disclosure in Austrian law. Data protection is a very important issue and the high standards of the national Data Protection Act and European legislation concerning the protection of natural persons with regard to the processing of personal data are applicable. The EU General Data Protection Regulation stipulates exemptions of the prohibition of processing personal data in several specific cases such as for the processing of special categories of personal data if the processing is necessary for the establishment, exercise or defence of legal claims or whenever courts are acting in their judicial capacity. Further, the EU Directive on the protection of undisclosed know-how and business information (trade secrets) against their unlawful acquisition, use and disclosure must be noted. The implementation was due in June 2018. Austria has not fulfilled its obligation to date. It will, however, transpose the provisions as part of the Amendment of the Federal Act against Unfair Trade most likely in early 2019. The concepts of ‘attorney-client privilege’ and ‘work product privilege’, like the concept of ‘discovery’, are not part of Austrian law. The concept of ‘legal privilege’ has been developed by the European Court of Justice. Accordingly, not only are the communications and documents confidential, but also attorneys are allowed to refuse their testimony about facts arising out of their attorney-client relationship. Unlike the Anglo-American concept, in-house lawyers are not regarded as attorneys in the sense of legal privilege. If there is an employment relation, lawyers cannot be considered attorneys. It must be noted however that not all Austrian courts and authorities recognise this principle. This issue typically arises with respect to documents seized in dawn raids. However, it goes without saying that attorneys are obliged to treat any information material or documents arising out of their attorney-client relationship as confidential and not to reveal them to any third party. Yes, Austrian law stipulates for certain energy disputes either exclusive or successive competence of the energy regulatory authority, E-Control. According to section 22 para 1 of the Austrian Electricity Act and the corresponding provision section 132 para 1 of the Austrian Gas Act, E-Control has exclusive competence on disputes concerning the lawfulness of the refusal of third-party access to the electricity and gas network as well as to gas storage and disputes between suppliers regarding the legality of refusal to transfer entry capacity in gas, unless the cartel court has jurisdiction over such claims. Ordinary courts are responsible for all other disputes concerning claims arising out of the contract between the network and storage operator and the eligible customers for network access, concerning claims between network and gas storage operators and parties entitled to network and gas storage access network owner as well as between network operator and energy companies and concerning claims arising out of the invoicing of balancing energy. Section 22 paragraph 2 of the Austrian Electricity Act and the corresponding provision, section 132 paragraph 2 of the Austrian Gas Act, stipulate a mandatory settlement procedure before the regulatory commission for a number of energy disputes. This is referred to as ‘successive competence’ of the regulatory commission. Accordingly, a party entitled to network access or storage access cannot bring action to court until the official decision of the regulatory authority in the dispute settlement procedure has been issued. The settlement procedure before the regulatory commission is mandatory and not subject to the parties’ disposal. Besides that, any other electricity and gas disputes can also be heard before E-Control in a facultative settlement procedure pursuant to section 26 of the Energy Control Act. The regulatory policy is determined by the Federal Ministry for Sustainability and Tourism. The Minister issues permits required by the Austrian Gas Act for, for example, construction of pipelines unless they require permits under the Environmental Protection Act, under which the local province is the competent authority. It also issues permits under different administrative laws such as the Mineral Resources Act. E-Control has been a public authority since 2011 under the Energy Control Act. It acts as a regulator in the field of energy, monitors and fosters competition and ensures supply and sustainability. It now comprises three bodies: the regulatory commission as the judicial body, the executive board as the decision-making body, and the supervisory board. The regulatory commission consists of five members, including a judge. All members are appointed by the government for five-year terms. The regulatory commission is competent (among other things) to examine standard forms and conditions and to set tariffs. It decides in the form of individual decisions or general ordinances. The executive board comprises two members appointed by the Federal Ministry for Sustainability and Tourism for five-year terms. The general responsibilities of E-Control are to issue licences for network operators. It also has powers to monitor the market and to supervise competition. Its main focus lies on the principle of non-discriminatory treatment of market participants. The Federal Competition Authority and E-Control jointly enforce anticompetitive practices under the Cartel Act, such as price fixing or abuse of market dominance. In such cases, the Cartel Court may impose fines up to 10 per cent of the undertaking’s annual turnover upon request of the Federal Competition Authority or E-Control. The public enforcement activities are mainly set to deter market participants from anticompetitive practices in the first place. Moreover, also on request of E-Control, the district administrative authorities enforce violations of administrative laws such as the Austrian Gas Act or the Austrian Electricity Act and may impose fines up to €150,000. E-Control’s enforcement powers are targeted at ensuring that market participants act in compliance with the regulatory framework. Both the Austrian Electricity Act and the Austrian Gas Act ensure new entrants free access to infrastructure. New entrants may not be discriminated against existing ones pursuant to section 9 of the Austrian Electricity Act and section 9 of the Austrian Gas Act. The access conditions may not be abusive or subject to unjust limitations. Under Austrian law, network operators have the obligation to provide access to new entrants, may they be either final consumers and producers (Austrian Electricity Act) or persons who are entitled to have network access (Austrian Gas Act). They can deny network access in the event of malfunctions, when obligations under Austrian law can no longer be met or technical specifications do not comply with each other. Any rejection must be justified in written form, so that it may be examined by the Austrian regulatory authority. If the rejection was unjustified, the network operator bears liability for the damage caused. Any decisions by administrative agencies such as E-Control and the Federal Ministry for Sustainability and Tourism can be appealed at the Federal Administrative Court. The procedures follow the general Austrian administrative laws. An appeal must be filed within four weeks after service. It must meet formal requirements and the grounds of appeal must be substantiated. Judgments of the administrative court can be challenged at the Supreme Administrative Court or at the Constitutional Court, if violations of constitutional rights are claimed. Ordinances from agencies can be subject to an appeal. The appeal must be filed directly at the Constitutional Court, according to article 139 of the Federal Constitutional Law. Decisions of the energy regulator cannot be challenged in a non-judicial procedure. There is only one provision governing hydraulic fracturing in Austria. The Austrian province Vorarlberg unanimously decided on a fracking prohibition in its province constitution in 2014. This prohibition is designed as a state objective, so it would need to be implemented through legislation or an ordinance to be enforceable. However, no legislation has been passed to date. Fracking has been used for conventional deposits ever since, but unconventional deposits where the amounts of fracking fluid far exceed those in conventional deposits have never been used in Austria, as records according to the Drilling Borehole Order show. Any fracking is subject to the supervision of the Austrian mining authority. There is no specific protection for indigenous groups. In order to participate in the trade and supply of gas and electricity, companies with a registered seat outside Austria must appoint an Austrian natural or legal person that is authorised to accept service of documents. Companies must be part of a balancing group or registered as a balance group coordinator. The foreign companies must ensure within the registration procedure that technical and personal requirements are met. Detailed instructions are provided on the websites of E-Control, APG, Gas Connect, APCS and AGCS. The Austrian regulatory authority is required to notify to the European Commission when transmission system owners or operators controlled by a person or company from a third country need to apply for a certificate from E-Control. The same is true when an investor from a non-EU country wishes to take control of an Austrian transmission system operator. However, undertakings from third countries must also consider the Federal Act on Foreign Trade. Permits to trade within Austria for such undertakings are issued (among other things) if there is no risk that goods such as energy were illegally obtained, if trading with those goods from third countries is not a national security concern and if the Austrian energy development will not be compromised. The acquisition of shares of more than 25 per cent of, or a controlling share in an Austrian company active in a sector affecting the public security and order including defence, security, energy, water, telecoms, traffic and health industries has to be approved by the Federal Ministry for Science, Research and Economy. Licences will not be issued when national security or public interests are endangered. Non-compliance with various statutory provisions and regulations contained in different material laws can lead to administrative fines for companies or individuals as well as to criminal liability, where responsibility for actions of managers and employees can be extended to the company. Typical infringements include failure to register certain activities with the relevant authority or exercising a business without a valid permit. The Austrian Electricity Act includes administrative and criminal law obligations specifically tailored to electricity undertakings and network operators, which also include the misuse of insider information under Regulation (EU) 1227/2011 of 25 October 2011 on wholesale energy market integrity and transparency; the Austrian Gas Act includes similar provisions for undertakings in that sector. 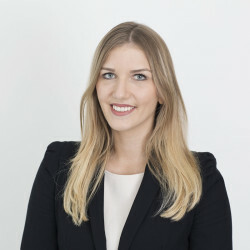 The Austrian Criminal Code also includes offences against the environment such as pollution of waters, soil or air, environmentally dangerous disposal of waste or operation of facilities without permission, thereby gravely endangering the environment, be it intentionally or out of negligence. As regulations that can result in imposing fines on undertakings are spread out over a variety of different laws, it is recommended that a case-by-case analysis is conducted to ensure compliance with all relevant legislation. There are no sovereign boundary disputes in Austria that could affect the energy sector. Yes, the Energy Charter Treaty entered into force in Austria in 1998. Austria is also a member of the Energy Community Secretariat. Domestic and foreign investors are protected by the fundamental rights guaranteed in the European Convention on Human Rights, which has constitutional rank in Austria along with the Austrian Constitution and the European Charter of Fundamental Rights and Freedoms. These laws include the right to property, a fair trial and the state’s obligation to act in accordance with the law. Additionally, several bilateral investment protection treaties are in place, protecting investors depending on their nationality. A list of treaties can be found on the homepage of the Ministry of Science, Research and Economy. The main legislative act on data protection is the Cyber Security Act of 2000, which guarantees individuals the right to data protection according to EU standards. It requires every data processor to adhere to certain safety standards and only allows the processing of data with permission of the data subject or under specific circumstances. The new Cyber Security Act implements the European Data Protection Directive (EU) 2016/680 of 27 April 2016 on the protection of natural persons with regard to the processing of personal data by competent authorities for the purposes of the prevention, investigation, detection or prosecution of criminal offences or the execution of criminal penalties, and on the free movement of such data into national law, and also brings Austrian law in line with Regulation (EU) 2016/679 of 27 April 2016 on the protection of natural persons with regard to the processing of personal data and on the free movement of such data, and repealing Directive 95/46/EC. This new Act entered into force on 25 May 2018. It includes an obligation for operators of ‘critical infrastructure’ - such as power plants or electricity grids - to notify the authorities of any cyberattacks or of security leaks in their data systems. Fines due to violations will increase significantly and amount to about two per cent of an undertaking’s annual turnover. Regulations concerning smart metering are contained in the Austrian Electricity Act. Current developments on the legislative level include the anticipated Renewable Energies Expansion Act. Among other targets, the amount of subsidised green electricity in Austria ought to be tripled by 2030; however, at the same annual costs as hitherto. This is to be achieved by a more modern financial support system, which focuses on higher efficiency and more system responsibility of the plant operators. In the context of environmental impact assessments, the anticipated Business Location Development Act stipulates that for projects of special public interest that should strengthen Austria’s business location, special measures might be linked to speed up the administrative process. This proposal might be relevant for certain projects necessary to enhance the energy network infrastructure. 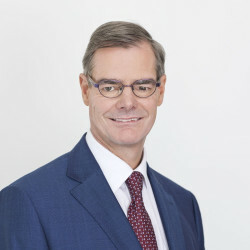 The Austrian regulatory authority initiated a stakeholder consultation on the further development of the balancing regime for gas transportation in Austria with the objective to merge the now split balancing regimes for distribution and transmission and to make the balancing regime on the transmission level compliant with the Balancing Code (regulation (EU) 312/2014. As of 1 October 2018, the market areas of Germany and Austria in electricity were split, which resulted in increased wholesale prices for electricity in Austria. In this respect E-Control announced a strict monitoring of possible abuses of market dominance. The long-term effects of this split of market areas on prices and security of supply remain to be seen. Energy disputes are usually referred to arbitral proceedings and treated confidentially, hence they are not subject to a wider public attention. Political debates relating to the energy sector focus rather on renewable energies and environmental issues. Schima Mayer Starlinger attorneys-at-law, www.sms.law, is an internationally oriented commercial law firm with a special focus on employment law, energy, corporate and antitrust law. Our team consists of highly motivated lawyers who dispose of extensive expertise, experience and commitment.